Δεν Ξέρω Τα Πάντα Αλλά Μπορώ Να Μάθω Τα Πάντα Γιατί Αγαπώ Τα Πάντα: Such A Sad Picture: Confused Koala Discovers His Home Has Been Cut Down. 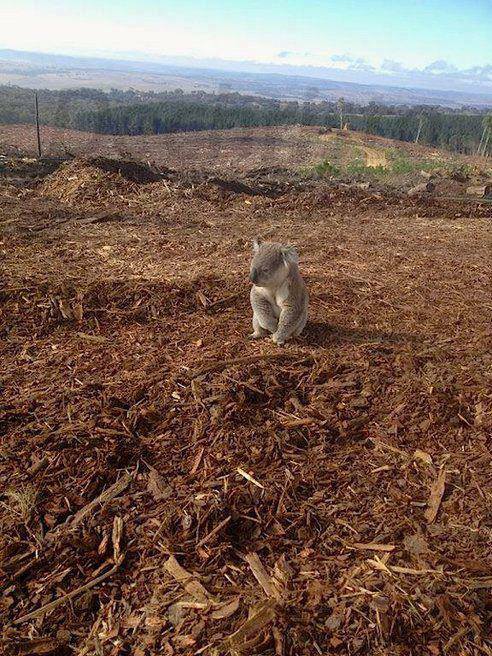 Such A Sad Picture: Confused Koala Discovers His Home Has Been Cut Down. Our Earth have enough for everyone's need but not for everyone's greed. Planet Earth is the only home of many species and they also deserve to live.